The Historical Society of Plainfield invites one and all to the Eighteenth Annual Tree Lighting Ceremony on December 13th. Raffle prizes will be awarded during the festive evening of Christmas caroling, gift giving, and refreshments. This year's Gingerbread House will once again be generously awarded to one lucky winning family. Children are encouraged to participate as Santa will be making a surprise visit, with a gift for every child. In addition to the large Christmas tree in the ballroom, there will be three decorated theme trees in the period rooms of the Museum. This program is free to the public. Please note: Due to space limitations and safety concerns we are unable to provide space for baby strollers or carriages. 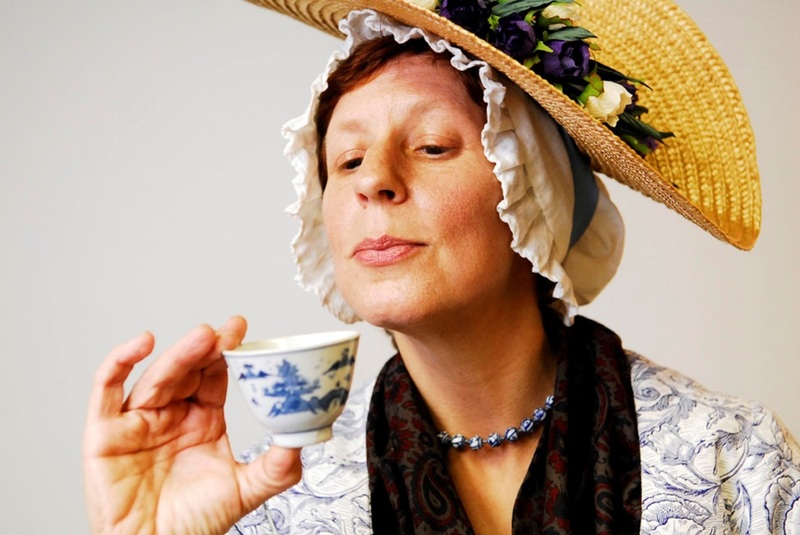 "Revolutionary Tea'' will be the subject of a presentation by Stacy Flora Roth of History on the Hoof. 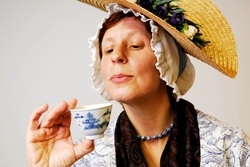 Ms. Roth will explore the social history of the rise and downfall of tea in Colonial American through a look at its history and material culture, infused with quotations, poetry, prose and songs about the popular and once controversial beverage. All are welcome, and donations are greatly appreciated so that programs such as these can continue in the future. 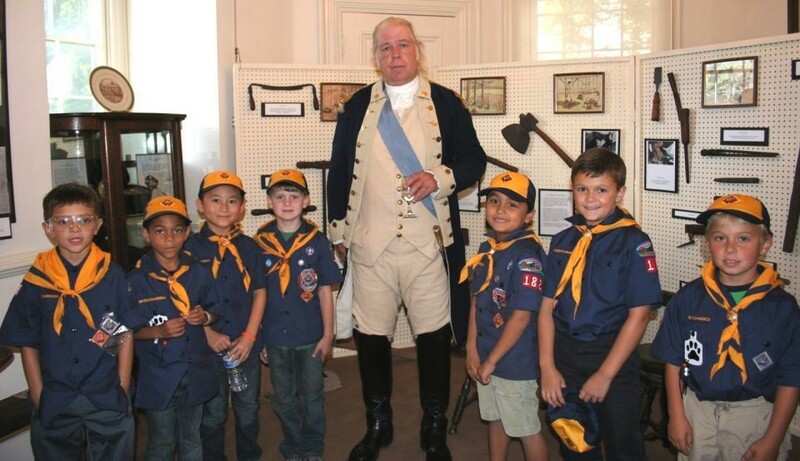 The Historical Society of Plainfield will host guest speaker L'aura Hladik of the New Jersey Ghost Hunters Society in a talk about "Ghost-hunting in New Jersey and NYC." 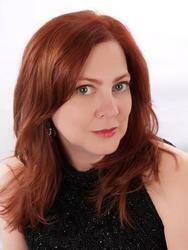 Ms. Hladik has been officially ghost-hunting since 1993, and founded the NJ Ghost Hunters Society in 1998, which is the largest paranormal investigating organization in New Jersey. 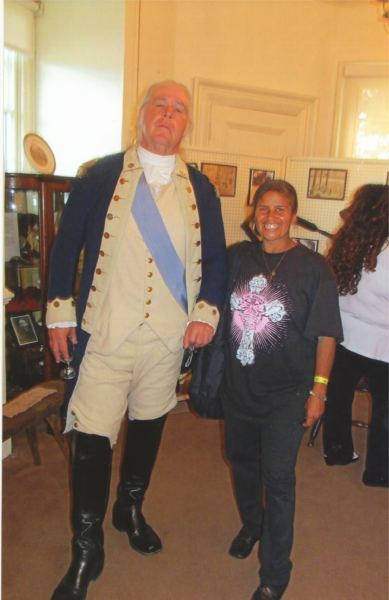 David Emerson will appear as George Washington in a special presentation: ''George Washington speaks on the Revolution in New Jersey with David Emerson". Mr. Emerson has been portraying George Washington at festivities throughout the country. He has been seen in films and television programs including documentaries for History Channel, PBS, and New Jersey Network. George Washington used the Drake House as his Headquarters during the Battle of Short Hills in June 1777. All are welcome to I earn about the significant role that the Drake House and the Drake family played during the American Revolution.